2018 Pinn Scholars (l-r): Alison K. Criss, PhD; Scott K. Heysell, MD, MPH; Benjamin W. Purow, MD; and Jeffrey J. Saucerman, PhD. The Pinn Scholars program, which started last year, is an initiative born from strategic planning to support and recognize our mid-level faculty. Pinn Scholars are selected on the basis of their scientific expertise and contributions to the School of Medicine and to the greater research community. Pinn Scholars are expected to develop a new project or direction in their research and share their results at the annual symposium. 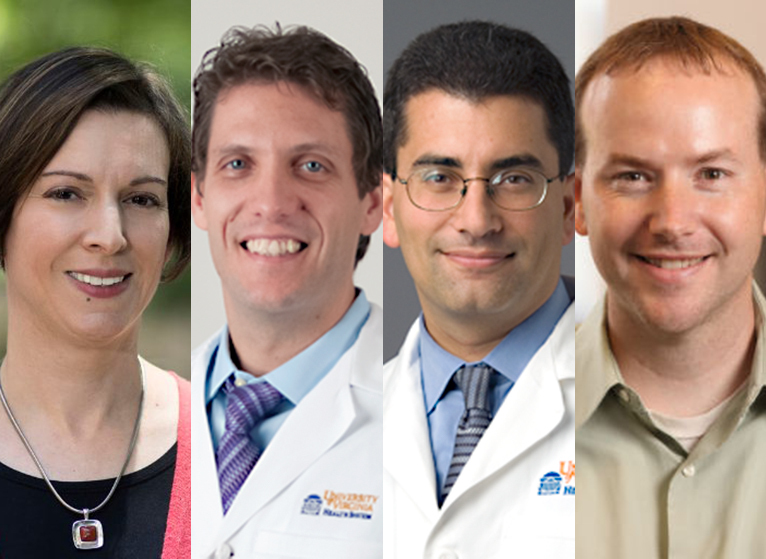 The inaugural Pinn Scholars — Drs. Isakson, Laurie, Peirce-Cottler, and Zimmer — recently presented updates from their research at the School of Medicine Symposium on Research Excellence. I look forward to next year’s symposium and in hearing about the results from the newest batch of Pinn Scholars’ work. Please join me in congratulating the incoming class of Pinn Scholars.